NEW Saturday routes for summer! Happy National Doughnut Day, y’all! 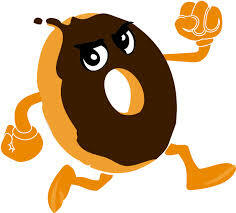 Make sure you carb up for our run tomorrow! We will meet at 7:15 AM in the Bottleworks parking lot behind Hendershot’s to run our *NEW* 3 and 6 mile routes. Come a few minutes early for announcements and to get maps of the new routes – they have lots of water fountain access for summer hydration. Stick around after for conversation and complimentary coffee from Hendershot’s (be sure to tip your barista!). The second issue of the re-launched ARR Quarterly Newsletter is now live! We hope you enjoy this issue, filled with stories of our very own Ridge Runners youth running program, Boston Marathoners in our midst, training tips to beat the heat, and a review of the inspiring biography of an Olympian. We will not have an organized group run this Saturday. 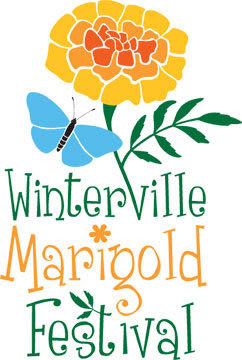 We will all be at Pittard Park in Winterville for the Marigold 10k! Marigold is organized by our club and is a flat and fast USTAF certified Peachtree qualifier. There are still multiple opportunities to register for this awesome race. 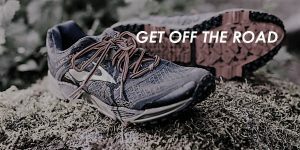 Packet Pickup is at Fleet Feet Sports Athens TODAY (Friday, May 19), from 4:00-7:00pm. You can register for the race during that time! 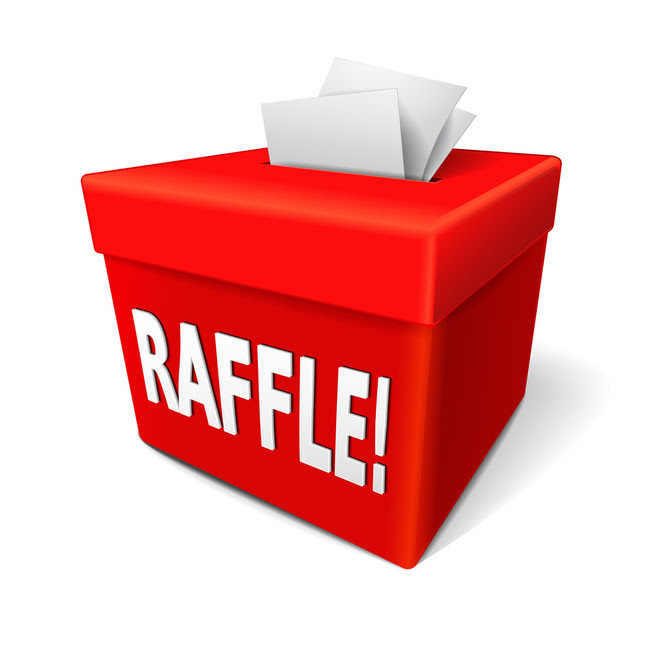 If you stop by Fleet Feet on Friday to register or pick up your bib early, you can also enter the raffle drawing! We will be drawing 3 names to receive a $50 Fleet Feet gift card – winners will be announced on Saturday after the race! We will also have race day registration starting at 6:30am at Pittard Park at the picnic pavilion. 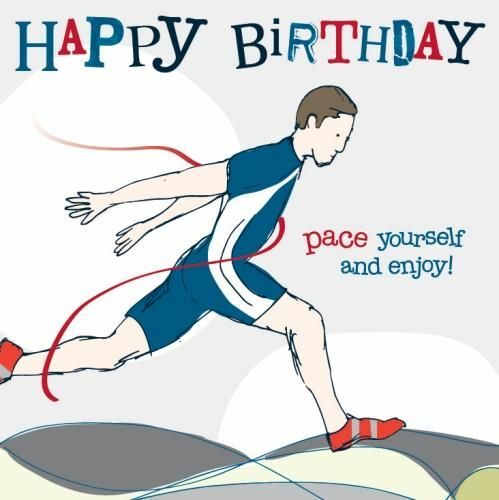 Hope to see you all racing, volunteering, and cheering on our participants! The Saturday Morning Group Run start time will move to 7:15 AM this Saturday, April 29, 2017. 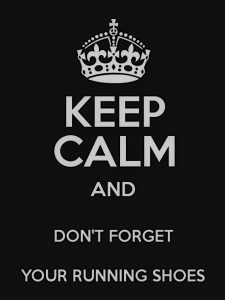 If you forget and show up at 8:00 AM, that is absolutely fine, you may have time to run up to the corner of Washington Avenue and Lumpkin Avenue and register for the Twilight 5K. This year’s race includes the inaugural post race part, sponsored by the Athens Road Runners. Group runs begin and end in the parking lot of the Bottle Works in downtown Athens, GA. Thank you to Hendershot’s Coffee for their continued support of the Athens Road Runners. Join us, inside Hendershot’s, for coffee after each group run. Be sure to thank the staff and tip your barista. Sit on the Hendershot’s front patio after this Saturday’s (April 29, 2017) morning group run and cheer on everyone racing in the Twilight 5K. One of the biggest weekends of the year in Athens is this weekend. The Twilight 5K, will kicks off the weekend at 8:30 AM on Saturday, April 29. The 5K starts and finishes at the corner of Washington Avenue and Lumpkin Avenue in Downtown Athens, GA. This year, the inaugural post-race “Eggs & Kegs” party is sponsored by Athens Road Runners! 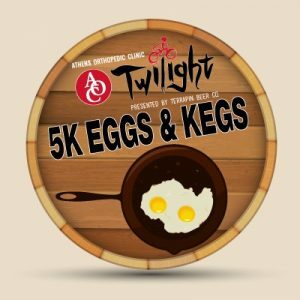 All 5K participants will receive breakfast from Biggums BBQ (including eggs, grits, and a biscuit) as well as a Terrapin beer (for participants 21+). Additional breakfast items and beer will be available for cash purchase. There will also be hot Jittery Joe’s coffee and water, and Clif Bar will be on site with product samples. Awards will take place at 9:30 am on the steps of City Hall. Top 15 men and top 15 women in the Twilight 5K qualify to compete in the $1000 mile, which will take place Saturday evening at 6:45 pm. 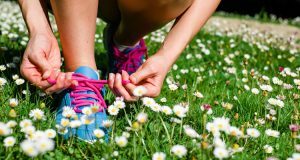 Lace Up, and put a little “SPRING” in your stride! Group runs begin and end in the parking lot of the Bottle Works in downtown Athens, GA. Current start time is 8:00AM every Saturday. Thank you to Hendershot’s Coffee for their continued support of the Athens Road Runners. Join us, inside Hendershot’s, for coffee after each group run. Be sure to thank the staff and tip your barista.